I did not want to like Tubereuse 40 at all, just as a matter of principle. It is a first in a series of future Le Labo scents that would be specific to only one location. Tubereuse 40 is specific to New York and can only be purchased at the Le Labo boutique there (sort of like Lutens' "exclusive" concept taken to absolute extreme; only in the case of non-export bell jars, at least the rest of Europe can still purchase them online). Don’t try to order the new Le Labo fragrance over the phone or online. You have to physically be there to be able to part with your hard-earned $230-$360. And if you are in Rio de Janeiro or Vladivostok? Well, apparently Le Labo is “nostalgic of the days where brands and their soul offered authenticity that deserved that little extra travel commitment”. The city-specific fragrances is Le Labo’s “own little contribution to the fight against globalization”. Isn’t it one of the most attractive qualities of perfume that it is a luxury that one can more or less afford? I can’t buy couture clothes, but I can once in a while treat myself to a bottle of something fabulously glamorous. But when a brand forces me to pay the cost of “that little extra travel commitment”, what it is essentially doing is robbing me of the one small luxury I could previously enjoy. And all this somewhat nonsensical, rather obnoxiously elitist concept presented in terms of the fight against globalization quite frankly raises my hackles. If there is one thing that I hate, it is when "politics" is brought into perfume (MoslBuddWhatever, anyone?). They say, revolution, they say, unconventional. I say, pretentious and annoying. So, yes, I was a little prejudiced against Tubereuse 40. But its beauty broke through the gloomy cloud of my bias like a ray of proverbial sunshine. This is the essence of summer, bottled. Created by Alberto Morillas, the scent was meant to be “a non-heady Tubereuse shaped around citruses and musks that give it an unexpected unisex “eau de cologne” identity despite its impressive 30% dosage of oil in alcohol.” That means that the fragrance has the general feel of cologne but wears like a sumptuous, rich eau de parfum. It is lush, substantial and exceptionally long-lasting on my skin. The top notes of Tubereuse 40 have a slightly chilly, almost mentholated quality that makes the composition immediately uplifting. The citruses are succulent and fresh. Fresh as in freshly picked and freshly squeezed. Lemons, mandarins, bitter oranges are ripe, bursting with juices, their mouthwatering tangy-ness highlighted by the presence of a delicate herbal accord. The orange blossoms, which start to flourish in the heart of the scent, are bright and poignantly summery, their sunny frailty underscored by a gentle mimosa note and beautiful, soft jasmine. Tubereuse 40 is youthful, joyful, lively. It is an olfactory equivalent of sunshine. As I mentioned above, Tubereuse 40 costs $230.00 (50ml)-$360.00 USD (100ml), or $90 for 1/2oz (thank you, Judith!). And that is not counting “that little extra” expense of traveling to NYC. 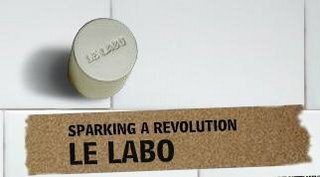 The first image is from LeLabo.com. The second from Allposters.com. Brilliant review, Marina! I thoroughly enjoyed reading it, and it made me literally crave the juicy citrus as well as the fragrance itself. :) Just as a side note, it's also available at the NYC Barney's. I believe the idea is to have each Barney's store in the U.S. have their own Le Labo scent, so they started with NYC, for obvious reasons. The next one will be in Dallas. But they won't ship if you call or go online, right? At least that's what the press release is saying. :-( I quote: "the Internet and phone will be useless, you will have to travel to get it. Sorry"
Hmm, bizarre. If it's at Barney's, then why not? They ship everything else. Very bizarre and pretentious, I agree. And like, if it's at Barneys and a customer calls to buy and asks for this, what is a poor SA to do? To tell him or her, no madam/sir, I cannot sell you this scent even though you are prepared to spend that much money with us, no, no way, I have my instructions. The more I wear the more I love it. So bright, so "juicy", just beautiful. And such great sillage too. And longlasting. I so wish it was more affordable. Jeesh- and I was just commenting on Perfume Posse that I sort of like the idea that you can't ge everything all the time: loving the chase and all. But deep down, I want what I want. Especially if I am calling Barneys with my Barneys cardin my hand. If they dare tell me that they will not ship Patchouli 24 to the west coast, I would seriously board JetBlue just to bit#h-slap them. Loved the review, and I also share your reluctance, both to part w/ the cash, or to travel to NYC for this. I'm going to sit back on this one. My Tabarome arrived, intact, yesterday, and I'm layering and glorying in tobacco, amber, and ambergris like a pig rooting in muck ! When it gets cold, I crave animalic, winey, boozy, spicy, incensey- very rarely floral [unless it's decadently moody and abysmally dark]. OK, you do understand that I have a tight budget right now? I was practically purring w/ satisfaction yesterday at hearing that this was more along the lines of an Eau de Cologne than a tuberose scent since I don't really care for EdCs. Then you have to go and write this review that makes me totally forget that I don't care for EdCs and even forget the obnoxious exclusivity...suddently this is a lemming of the first order. My cc is sobbing in the corner. Oh, don't give them ideas! Is it a nice tuberose? I am sure it is lovely... I am asking because I just don't smell it there. Sometimes I tell myself that I do, but really...I don't :-) Which, for me, might be a good thing actually. I'm very annoyed at this foolish concept too! Elitist and priced that way too. All I can do is wish on them very poor sales of it! Then, maybe they'll consider the concept of "for limited time only, you may purchase Tubereuse 40 online!" I can hope, because your review sounds so lovely! I'd love to try this but I'm not going to shell out even more dough to get there for the privilege of trying it! Hummphh! Thank you for the lovely review though! There is always EBAY. I see that samples of this are already available for about $10 on the bay, and I suppose it’s only a matter of time before decants are available, so I don’t know how successful they will be in maintaining their vision of having people actually coming to the store in person to get it. I love the store and will certainly be back next time I’m in NYC, I want to take my husband to smell the raw materials they have in jars, the “olfactionary”, and the other things they have to smell like ambergris tincture in the fridge. Going into the store is a great experience, and buying a fragrance there is like having a souvenir as well as a perfume. I’m a big collector of rocks, shells, fossils and beach glass. There are prettier rocks in museum stores here, and faux fossils, but they just aren’t appealing to me because they have no sense of place. My favorite t-shirt is from a tiny store in my tiny town, handmade by a local woman who only made 2 in each color. I treasure my bottles of Santal de Mysore and Jicky EDP that I bought in Paris and cannot get anywhere in the US, and wearing them reminds me of Paris, whereas my bottle of Chergui from Barney’s just isn’t as special. So if I like it, and I can’t get it where I am, that’s OK with me. I can’t get my favorite cheese here, but I hope to go back to Quebec someday and have it again, or discover a new one. And maybe if I tasted it here in my house, it wouldn’t taste as good as it did then on fresh baked bread sitting on a tiny table outside of the bakery with my good friends that I was traveling with. Looks like I'm in the minority here though by not finding this concept annoying....... oh well. I understand your point and the appeal of unique things that can only be bought in certain places. It is strange to me though that Le Labo decided to turn a scent as interesting,lovely and as perhaps universally apealing into basically a souvenir. And also, yes, we have to accept that some things can't be bought where we are. I can't get foods I love here, for example, etc. But shouldn't we aim to achieve a state of things where everything is available or at least a mouse-click away? A phone-call away? I understand that a small-scale cheese producer in some faraway corner of the earth might not have an opportunity to open an online store or have a catalogue, but Le Labo don't have such limitations, so why impose those limitations on themselves? Why regress instead of progress? Why make it difficult for people to buy their product instead of making it easy? I don't get it. However, I completely agree with you that this sounds like pretentious pseudo-politics. I have no problem not even sampling the thing so as not to be tempted just for principle's sake. I must say though, your revciew of it sounds luscious, what with the abstract idea of tuberose rather than the real thing (and that pic in your review! Ooooh, aaaah!). And I am so looking forward to reading your articles for perfumecritic.com! I understand your point – the cheese maker probably doesn’t have the resources to put his cheese for sale online, but Le Labo could easily make this available on their online store or other store locations. I understand their point too. I’m sure running their little shop in NYC is not cheap. They have a very knowledgeable person there for you to talk to and mix your fragrance freshly on the spot. I’m sure it would be less expensive for them just to sell via the online shop and Barney’s. But I would be really sad if that happens. I love the shop, and this isn’t just the case for Le Labo. Sometimes I will knowingly pay more to buy something in a store than what it would cost me online because I like to shop in person, I like to talk to the knowledgeable people in the store and I like to test things in store. I don’t know Le Labo’s full motivation behind having this fragrance be exclusive to in-person shoppers, but I would totally understand it as an incentive to get people to come into the store. I really hope my favorite perfume stores don’t disappear in the face of E-Bay, Perfumebay, Barney’s online etc. So I confess I am a little bit anti-progress in this regard. I too am a non-tuberose lover who fell in love with Tuberose 40 at first sniff. It's listed in the most recent Barney's beauty catalog so I'm thinking they wouldn't waste pages on items that one cannot order?? Just a thought. Thanks for an as-always lovely and intriguing review. The juice sounds lovely. The concept? Silly really. You see, I was a very bad scentoholic and wrote Le Labo an e-mail asking if in their fight against globalization all the natural essences in the Juice were Fair Trade sourced and if all the chemicals were created by companies who strictly enforced fair labor practices in all their plants worldwide. They sent me a very polite and pleasant non-answer inviting me to stop in for a sniff if I was ever in NYC. Unfortunately they did not forward a voucher for the airfare. Ina and I were pondering the Barney question yesterday. I don't get it. What's the point of feturing this scent in a catalogue if one can only buy it in person. It's just all so unnecessarily complicated. I salute you, brava! Very good point about Fair Trade, etc. All that "fight against globalziation" concept of theirs is just a lot of trendy yada yada yada. The perfume itself is just grogeous though, Arrgh. I'm pinning my hopes on ebay. After that would be a quick weekend trip to NY - used to do that a lot when the budget was less beleaguered. But that's not in the budget for any time in the near future. :-( However, what if there is a divine exclusive scent for some place like Houston? Not a chance in Hades I would even want to go there. Ugh. Great review, have you tries red door velvet? Thank you, Sadie! 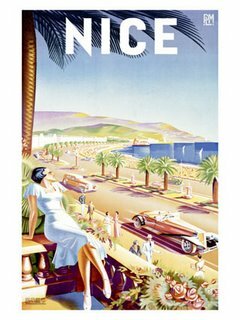 I haven't tried that one, is it nice? And there are many people who are ill or have fear of airplanes. Many many reasons why some people can not travel. Oh!! well some businesses are insensitive. I'm always late to the party, just not usually this late. I'm wondering if it would be possible to put an end to the mystery by asking the guys at Le Labo whether or not it contains tuberose. Like Judith said, I do smell it in there, if only a molecule or two. But, I'm open to the idea that I'm under a spell of self-delusion. I think the Le Labo guys conflate globalisation and homogenization. The history of the world is a record of ever expanding trade of goods and ideas. It's too late to turn back the clock. And would we really want to? On the other hand, I can understand the antipathy toward homogenization and the catering to the lowest common denominator that often comes with it. But in this case, I think the scent defies the trend toward homogenization in its composition and its pricing. I could afford the smallest size. But how many people can afford it at all? I'm not saying that scents should be priced in order to create "exclusivity." Nor am I endorsing Le Labo's goal. I am trying to say that Le Labo can attain their goal without their city-specific marketing ploy. What a great point you make! Exactly, it is priced so far above average that it is already "localized" to a very select group who can afford to spend that kind of money on a scent. Very late to the party here, but adore the scent itself. Essence of summer is just right, and it will be perfect, therefore, for winter. Do you know if it is more expensive than the other Le Labos? I've forgotten what they cost. I think it's almost twice as expensive as the rest of them. I agree that this perfume is delightful, way too much money, and sold with a gimmick. At least it's not a gimmick without a good scent, I say. Great review as usual! It sounds great, I must try! Thank you. I don't like the globalziation blah blah, I don't like the price, but I love the scent. Love it.